The 1992 Alfa 155 certainly wasn’t. Based on the Tipo-derived Type Three corporate platform, its tall, narrow-looking silhouette combined with skin surfacing endowed with an over-abundance of character lines, and clumsily placed shutlines was a clear evolution of its 75 predecessor, but hardly a car to elicit a backward glance. Both its appearance (believed to have been the result of a highly restrictive brief), its dynamics and its initial sales proved a keen disappointment. Having begun his professional career at centro stile Fiat, Italian designer, Walter Maria de Silva progressed to Instituto IDEA (who incidentally were responsible for the 155), before joining Alfa Romeo in 1986, later becoming styling chief at Arese. It was under his supervision that the 155’s successor was crafted. As with most creative endeavours, car design is not habitually the work of a gifted solo artist. Certainly not in a company the size of Alfa Romeo and definitely not in the case of a volume-produced car with the development budget the 932-series undoubtedly enjoyed. That designer? One Giorgetto Giugiaro of Ital Design. Indeed, there appears to be a broadly unspoken understanding that it was Giugiaro’s essential shape, which was subsequently refined and developed further by centro stile – believed to have largely been the work of Polish stylist, Zbigniew Maurer under de Silva’s supervision. Make of that what you will. But leaving aside the question of who, we return to what. Unashamedly romantic and delightfully soft-formed, the 156 design was a total repudiation of the industrial Cressoni influenced themes which had to a greater or lesser extent informed Alfa styling since the early 1970’s. Gone too were the brutalist shutlines and deep scalloping in the bodysides of the outgoing car, replaced by sheer sided, but softly radiused forms. The 156’s body style was informed by the past, (said to have been inspired by the 750-series Giulietta) but deftly skirted overt nostalgia. So while its styling sat comfortably within the form trends of the late ’90s, it also acknowledged a deepening embrace of past glories. The 156’s nose was dominated by the dramatically enlarged Scudetto which in this instance deeply penetrated the front bumper, forcing the number plate aside – a stylistic device which paid homage to the 1966 Duetto Spider. Another stylistic flourish manifested itself along the bodysides. Beginning aft of the headlamp units, a deep reverse fold crease ran above the front wheelarch, gradually fading out, before re-emerging over the rear arch. A traditionally styled brushed steel doorhandle was positioned at the notional centre point where the body swage faded out, serving as a visual grace note. This latter feature in fact proved something of a bum note. A contrivance which to some eyes, not only failed to ring true, but was at odds with the innovative (for the time) hidden rear door handles, which were placed at DLO level. Elsewhere however, surfaces, forms, proportions and decoration were skilfully and tastefully judged. Inside meanwhile, tradition ruled. The driver-orientated cockpit was dominated by a pair of deeply hooded main instruments within the swooping dashboard, with a trio of auxiliary gauges positioned atop the gently sloping centre console. Very Alfa. A wood-rimmed steering wheel and deeply bolstered Recaro seats were also available as options. It was a well finished and in the right colour, warmly inviting environment. Based on a highly modified version of the Fiat Marea platform, its mechanical specification was in essence a fruitful and well judged raid on the Fiat corporate parts bin and a notable example of how such activity could yield compelling results. Engines were second-generation 16-valve Twin Spark units ranging in capacity from 1.6 to 2.0 litres and with a choice of a 2.5 or 3.2 litre 24-valve version of Alfa’s Busso V6. For the European mainland, two diesel variants were also available. Suspension was by double wishbones at the front, with a 164-derived strut arrangement at the rear. A technical novelty which debuted with the 156 was the optional (and notoriously problematic) Selespeed semi-automatic transmission. Employing an electronically controlled, hydraulically actuated clutch, but rather than a clutch pedal, drivers could use the sequential shifter, or a pair of buttons mounted on the steering wheel. In city driving, it was also possible for the transmission to shift automatically. 2000 saw the introduction of the Sportwagen variant. Created under the supervision of Andreas Zapatinas who took over from de Silva following the latter’s departure to SEAT, the rakish estate was very much of the ‘lifestyle’ idiom, and to many eyes, even better looking than the saloon. Technically identical apart from the fitment of Boge Nivomat self-levelling dampers, the Sportwagen was available with a full range of engines. Such was its visual appeal, the 156 proved an hit both with Alfisti’s and non-aficionados alike. Like the larger 164, it proved a credible and reasonably durable ownership proposition. In fact the 156 offered such a complete package that when Alfa Romeo finally did introduce the disappointing 166 flagship, it was utterly eclipsed. 2003 saw the 156 facelifted by Ital Design along the lines of the previous year’s Brera concept. A more aggressive looking car, but while judged a success, it could be said to lack the purity of the original. De Silva apparently thought so, latterly criticising Giugiaro’s work. It did however anticipate the car’s eventual replacement. Sales were strong, with over 650,000 examples made in total. The 156 began a short phase of continuity and focus within Alfa Romeo and with the thematically similar 159 replacement of 2005, the marque looked set to further the encroach into the German hegemony. That the 159 failed was less a factor of that car’s failings – (it was quite good) – as politics and what can be loosely termed, ‘events’. The passage of time would illustrate that pennies were pinched with some of the chosen materials, showing the 156 in a poor light as it aged. However, some twenty years on, and notwithstanding its foibles, the comely Alfa remains a stylistic high note – a compelling symphony in expressive restraint. The most recent 156’s are now over ten years old and for me, especially the SW aged beautifully. It is one of the last mainstream cars with simple lines that combine an attractive stance with lightness. The 156 didn’t need creases or details either. The doors are the best example. They are nicely curved, but only have the doorhandle and the one dissappearing line. I like the versions without side skirts the most. It gives the 156 a slim waist. Disclaimer: my first car was a blue 156 sportwagon. Jero: Thanks for your comment. I wouldn’t disagree with your view, the 932-series skirted a narrow path stylistically, but carried it off (for the most part) beautifully. Even if de Silva’s authorship has been largely debunked, he deserves credit for overseeing one of the finest looking cars of the era. Agreed too, the unadorned models look best. I would contend that if a car looks good in base trim, the designers have succeeded. It’s easy to add, much harder to take away. I test drove two examples and viewed several more a number of years ago with a view to purchase. 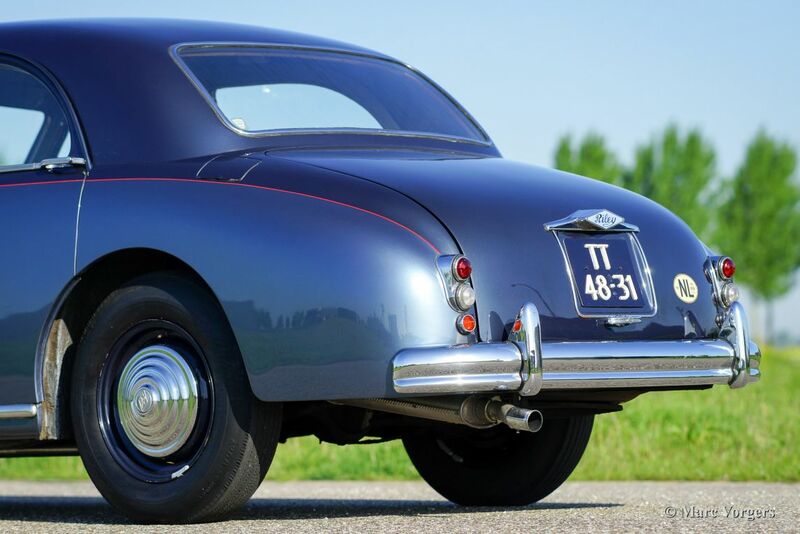 The nicest of those was a 1.8 litre Lusso model on steel wheels, which drove beautifully and while it wasn’t precisely what I’d had in mind to start with, I came perilously close to pressing the button on that car. From what I can gather the 156 was a fundamentally durable machine, but running costs could escalate alarmingly as they aged. Discolouring Biscione’s, flaking door mirror sail panels and frangible interior trim also illustrated where pennies were pinched. The 159 took the basic 156 template and presented it in a more mature package. It too was a fine car (and a pretty durable one) but it was hamstrung by issues surrounding its platform. Kris: I’d concur regarding the Giugiaro facelift. It never quite fitted the car, but the maestro himself alluded to the tremendous difficulty he had in updating (his?) original design. Yes, i am prefering the “small” pre-facelift versions of the 156 too. And i am prefering the saloon , not because it is more beautiful than the Sportswagon (it is not), but because i really love the hinges of the trunk of the saloon. They look so pure and non-mass-market-like with their sharp fine parts and their absence of plastic. The Alfa 156 has for me – together with the Audi TT – the most striking design of all cars of the 90ies, both are looking best in silver, the upcoming colour of that time. Dark colours does not suit the TT or the 156 ( and i am not a fan of the new Alfa Romeo mica-colours for the 156). And both have a corresponding interior. Two pretty different design philosophies, but extremely well executed. The design of the 156 was ageing faster than the design of the TT, but where the Alfa 159 was a good evolution of the 156, the next generation of the TT was pretty uninspired and mediocre. The 156’s styling was coherent in such a way that it didn’t take kindly to any facelift attempts. The Brera-influenced nose-and-tail job never matched the original car’s impact and sense of consistency, but even earlier attempts at updating the 156 through the addition of body-coloured parts (mirrors, rubbing strips) illustrated the correctness of the original design above all else. Henrik Fisker once named the 156 as one of the most impressive car designs, due to its appearance completely disguising its rather mundane underpinnings. But we shouldn’t hold that against the Alfa, of course. I still remember the first time I saw one in the real world. The most elegant detail, in my opinion, was the unpainted side mirror. Until then, the idea of an unpainted mirror was synonymous to cheap spec an suddenly it became elegance itself. Absolutely agree with this! The body-coloured details are a small change, but enough to put me off anything after the initial series. Something to note: AR finished designing the 166 first but launched it a year after the 156. Whoever did the 156 worked to a template set up by the 166. The 166 came in for a significant rework prior to launch – I seem to remember this was because it bombed in clinics, but I can’t say this with confidence, so don’t quote me on that. But the final production car was definitely influenced by the work on the 156. Giugiaro’s claims to authorship of designs should be taken with a pinch of salt. Just ask Gandini about the Miura. I can’t see where the 156’s underpinnings were particularly mundane. Except for some pressings derived from the Tipo there’s a Camuffo rear suspension that bears no relation to any Fiat, there’s a unique double wishbone front produced in a novel casting process only used by Alfa, there are thin walled magnesium panels like the rear bulkhead and it also had ‘modulare’ engines from a range developed by Alfa for use throughout the Fiat emporium that were every bit as good as the old Alfa fours. The 156’s biggest problem was that it came to market half ready and therefore had all kinds of teething troubles because its launch date was pulled forward from the originally intended 1998 to 1997, thereby delaying the 166. To keep this under control large scale deliveries to customers started in spring 1998 with cars produced from autumn 1997 to February 1998 mainly remaining inside the dealer network as demonstrators. Alfa reacted very quickly and fixed most of the troubles in short time, but as usual the dealers couldn’t be bothered to properly care for the few cars in customers’ hands. Through my bueiness contacts to Fiat I got my first 156 on the day the dealers received their demonstrators, making it the first 156 outside the dealer network in our country. It was a ‘Blu Cosmo’ dark blue two litre with a felt pen script on its front inner wing denoting it as ‘prototipo #1052’. I paid for being an early adopter by nearly weekly workshop visits, most of them necessary to rectify the faults caused by the workshop when they fixed something else. Even this early 156 was every bit as good as (and better made than) any BMW E36 that was its yardstick during development. The 156 initially was a large sales hit on a scale Alfa hadn’t seen since the early Alfasud days. It also was taken dead serious by other car makers, particularly by BMW who very rudely attempted extortion on lease companies taking the 156 in their fleet lease contract programmes. Giugiaro’s ham fisted facelift did the 156 no favour and the1 159 might have been a good car, but it was one more Alfa designed for people who wouldn’t buy an Alfa in the first place. The first person to ‘officially’ claim the 156 was Giugiaro’s work was Enrico Fumia of Pininfarina fame, by the way. No matter what the real honest truth behind the 156’s design may be, one thing is for certain: there are no hard feelings between de’ Silva and Giugiaro. de’ Silva, along with Martin Winterkorn and Ferdl Piech, played an instrumental in the Italdesign takeover/rescue effort. He’s also gone on record explaining how very much he reveres Giugiaro and his body of work. Make of this what you like. As for the topic of authorship and resting on other people’s laurels, I’d like to suggest that de’ Silva’s got ‘a bit of a reputation’ in that regard. He famously claimed that the Audi A5 was ‘his best design ever’ upon that car’s unveiling, which may or may not have ruffled some of Satoshi Wada and Jozef Kaban’s feathers. Regarding the big authorship debate (‘who penned the Miura?’), I would certainly take any of the explanations presented in the recent Gandini biography with a healthy helping of salt. Most who’ve read the book seem to accept everything stated in there as fact, which I’d contest simply on the basis of the numbingly hagiographic nature of Mr Sem’s tome. I must echo the statements by Dave and Eoin above that it is harsh to call the 156’s chassis as mundane because it can be traced back to the Tipo platform. It was 1997 after all. Double wishbones and independent rear suspension were hardly common for the class. Compared to its rivals at the time, the handling was clearly very good. The Peugeot 406 had a fine ride/handling compromise, but you could feel the lack of stiffness. The MkII Ford Mondeo that raised the bar in the class had yet to appear. Passat, A4, Laguna, … these are not remembered for a spirited drive. Underneath, many components were a bit flimsy indeed. The Brera/159 suspension components are double the size (and quality…). My years with the 156 were not trouble free, but nothing was particulary expensive to fix. Those “troublesome” upper wishbones were a very cheap and easy fix, for example. I’ve never noticed it before, but now that you mention it I can see the deft hand of Giugiaro all over the car, in the shape, stance, and general proportion. Especially the sculpting of the sides and that taut little rear, it got overtones of the Maserati over it. But that doesn’t have to mean anything. Take away the detailing and it could’ve been a Seat or whatever Italdesign churned out in the 90’s, and I’d say the detailing is all Walter da Silva. What makes the design pop is that disappearing character line drawing the eyes and the focus towards those door handles, and that is way too flamboyant for someone like Giugiaro. An attention grabber like that can only come from someone with a giant ego and a large need prove himself, like the zig zagged Zorro mark on the Coupe Fiat, courtesy of our darling Chris Bangle. I’d give the basic shape to Giugiaro, and all the devils details to da Silva. I wonder how many cars with semi-hidden rear door handles in the DLO can trace their inspiration for this detail back to the Alfa 156? SEAT Leon, Renault Clio…I know there are more that don’t spring immediately to my mind. Hidden door handles appeared well before the Alfa 156. I can remember the coupe versions of the 1988 GM W platform cars having them. Of course, they were on the front doors but it was basically the same idea. Nissan Pathfinder, too, oddly enough. The 1996 third generation White Hen had ‘hidden’ handles on the front doors too, non contrasting on a necessarily heavy window frame. Just as well it’s a car and not a building. Nice writeup! Only one variant missing- the crosswagon q4. Alfas first steps to SUV-heaven? In my part of the world alfas is a rare sight, the crosswagon would be a unicorn, never seen one in the flesh. Which one of the boys want to take credit of the this version? You can clearly see the genesis of the 156 in this car, even if with hindsight it does more clearly resemble what it eventually became (the Daewoo Nubira). Even if de Silva and co. didn’t pen the initial shape, they deserve plenty of credit for shaping it into what is, in my opinion, the best-looking saloon car of at least the last half-century. It’s the last car I remember seeing launch photos for and feeling sad that it was out of my reach. Nowadays, my dad has one as his daily driver, in fine fettle. In the details, it is an extremely well-judged car. The shape is still gorgeous, the wooden wheel is fabulously tactile, I very much like the ‘corduroy’ seats, and it’s fun to drive. The 159 was no patch on it. There were some nice engineering details on these too – magnesium frames for the front seats to keep down weight, for example. About my only note of dissent with general opinion on these is that I can’t say I have particular regard for the Twin Spark motors. I’ve driven a bunch of them in various installations and I have never really come away that impressed – I find the sound rather tinny, low-down throttle response lethargic, performance fairly dozy below 3000rpm and their sensitivity to oil level more than an annoyance. On the plus side they are fairly refined, but all three of the 2.0 examples I’m well acquainted with (two 156s, one 147) have never felt like they are delivering their supposed 150bhp. The car my dad’s example replaced was a 1997 Mazda 626 with a quoted 25 horsepower less driving through a slushmatic and at least as much weight, and subjectively it felt significantly gutsier in ‘normal’ driving. Granted, the 626 was quite a good performer for its class and time, but even so, you’d think a 156 should be able to dispatch it without thinking. This article gives me a warm feeling – troubled car brand gets something very much right. Did it meet its sales targets? The most reliable figure I can find is 680,000 in eight years, with a bit of over-run for the Sportwagon. Part of the Fiat Charter is wildly over-ambitious sales projections, so I imagine they set out to match the numbers for the 3 Series and A4. Regardless, Fiat did well out of that platform and component set, given its commonality with the 147, GT, and Lybra. In twenty years time, will the current Giulia be remembered with such affection? Looking more closely at the 166, which as we now know, predates the 156 chronologically, a number of things become apparent. Firstly, the 166 began as a reskin of the 164 and was originally much more of a design evolution of the earlier car. By the time it had been signed off, it had mutated notably, and despite the timelines of both 166 and 156 getting somewhat muddled, there is a palpable shift between them both aesthetically and thematically. Secondly, given the visual differences between them, it’s pretty apparent that the 166 remained an evolution of 164 themes and was allegedly the centro stile proposal which won out over proposals from Pininfarina, Bertone and Ital design. As such, it fits more with the lineal evolution of Alfa Romeo saloon design whereas the 156 departs in a more obvious fashion in its surfacing and detail design. This shift gives additional credence to the notion that the essential 932/156 design stemmed from an external proposal, which as we now can see (and many thanks Stradale for the visual confirmation) took the styling theme in an entirely different direction; one which de Silva’s design team it seems honed and refined into something quite remarkable. In my view, there are two outstanding compact saloon car designs from the 1990’s – the 156 and Mazda’s Xedos 6. Both designs have withstood the test of time – the Xedos is an unfairly ignored gem in my view. I would perhaps suggest the Alfa is the greater stylistic achievement in that the weight of history lay that much more heavily upon its shoulders, whereas Mazda could pretty much do as they pleased. The Xedos is a forgotten marvel, I agree. I’ve been trying to get a ‘mint’ one in front of the camera for my website for over a year, but unmolested examples appear to be as rare as non-superhero blockbusters these days. Mazda’s early ’90s full-fat ‘soft design’ models caused quite a stir among car manufacturers, particularly in Italy. Some notable designers believed they could start to pack their stuff and clean their offices right away, as they had no clue as to how they could possibly match the Japanese methods for pressing the sheet metal in such a way. To me, the A4 to remember would be the B6. In the right spec, it’s just so very ‘right’. And the convertible is prettiest roofless thing to ever emerge from Ingolstadt. Great article and exchange about my favourite saloon of the last 30 years, and others that also light me up … Xedos 6, A4 B5. I’d add the BL Legacy (we’ve done that before and Richard prefers one of the previous versions). I had not seen that GG concept before – it’s very obviously the genesis of the 156, although nothing like as polished. The 159 was also a cracker, but visually bigger and more masculine. Might I step in to suggest the Alfa Romeo GT (937) of 2003 as a contender for “last beautiful Alfa”? Like the latest Scirocco and Opel GTC it’s a car peculiarly ignored. Sure, some people bought them. They didn’t buy them very much though and it’s not because of anything wrong and despite everything being right. Stradale: those 166 mock-ups are all horrible graphically and some of that ended up on the production car. What isn’t clear is that the surface theme on the 166 saves it and is likely the foundation the 156 is built on. Great article on a fabulous car. I have owned several Sportwagons and would have another in a heartbeat. Last time I looked it was still possible to find the occasional pampered low mileage gem (usually a more affordable privately bought Turismo or such) for less than £1000. I don’t know if that is still the case. IMHO the pick of the models was the revamped interior with the silvery bits, but before the needless GG external revamp. With the benefit of experience I would say the worst aspect was the inefficient 4 cylinder petrol engines. The diesel engines, though torquey and economical, produced so little heat that in the “great freeze” winters of 2010-11 I was still scraping ice off the inside of the windscreen as I got to work, also door locks and handbrakes froze on daily. Put me off dieslels for life. Flimsy interiors were another concern, especially door panels which came off in your hand, and just a generally leightweight feel to the whole care, and not in a good way. A Youtube video of the MIRA crash test was enough to stifle my enthusiasm for rekindling this particular romance. And yet…….if a nice 03 Sportwagon 1.8 came up for sale with a wooden wheel………….